Andrew spent the last few years immersing himself in the New York City jazz scene. He continued to develop his exceptional composing skills and most recently signed with the [PIAS] Jazz Village record label. Andrew released Graviton, a new ‘all-star’ group album in June 2017 that is absolutely packed with unending musical personality and will be supported by a limited set of exclusive shows throughout the year. Andrew has assembled some of the most sought-after musicians in modern jazz, all of whom bring something special to the mix. Eska, Mercury prize nominee, joins the band on vocals. Sons of Kemet’s sax sensation Shabaka Hutchings and Jacob Collier’s electric bass supremo Robin Mullarkey are stellar additions. 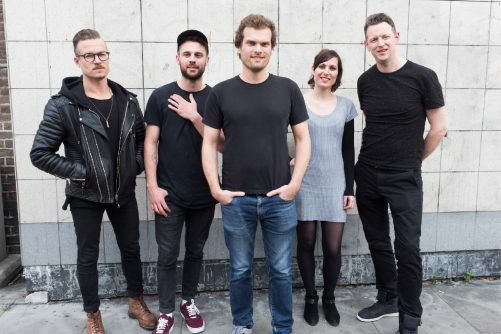 And, in keeping with this extraordinary line-up, Scandinavia’s Anton Eger–of Phronesis and Marius Neset fame–is the driving force on drums. Andrew also leads his own trio and quartet. His previous album, First Light, received worldwide critical acclaim and 5 Stars from BBC Music Magazine. He composes, records and tours the world with bassist Kyle Eastwood, son of actor/director Clint. And he recently completed a wildly successful series of shows with Jamie Cullum in the US. McCormack has been the driving force behind other A-list jazz artists such as Eric Alexander, Denys Baptiste and Jean Toussaint–as well as a host of home grown talent–and has performed extensively across the globe.